Since the TortoiseSVN MSI installer files are hosted on external servers, we can't guarantee that they are not modified or corrupted when you download them. 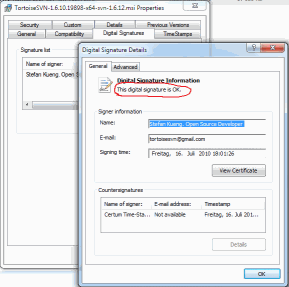 To verify that the files have not been tampered with, you can verify the signature of the files yourself. 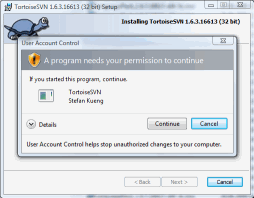 All files of TortoiseSVN are digitally signed (since version 1.6.3). After downloading the files, right-click on the files and choose "Properties" from the explorer context menu. 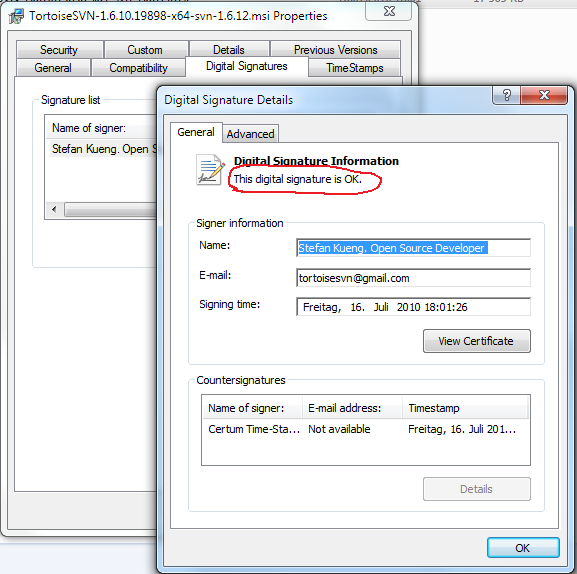 In the properties dialog, go to the "signatures" tab and verify that the file is signed by Open Source Developer, Stefan KUENG and that the signature is valid. If you don't see the "signatures" tab, you don't have a good file! Windows also verifies the signature during installation. 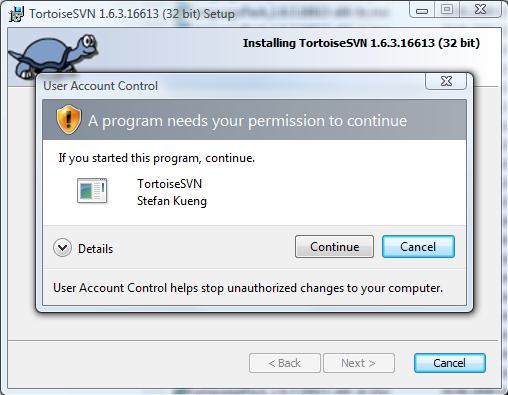 If the prompt dialog does not say that the signature is valid, cancel the installation and download the file again!